Cultural immersion trumps theoretical knowledge in international business. 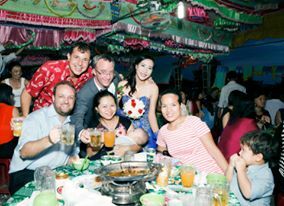 Weddings in Vietnam are an immersive experience for expats. How were the doomed ones supposed to know? You can be sure that the senior executives of the numerous businesses cited as failures in China undertook cultural training and read books to ensure they had some understanding of their target market. But exactly which “How To Do Business In China” book or training course would explicitly spell out that Chinese people buy homes for investment, don’t like big, boxy warehouses far away from a city center and that labor is so cheap that most people would sooner hire a handyman than do their own renovations? One problem is that no books or courses exist that can detail every single theoretical detail about what a group of people like or don’t like. Another problem is that any generalisation about a national culture can’t be true for everybody that lives within that country. For example, I’m sure there are many Chinese that love renovating! There are also regional variations on cultural norms within any country, and even within cities and towns. Theoretical learning about cultural norms from courses and books can be a poor substitute to on-the-ground, in-country, cultural immersion learning. When I first lived in Vietnam I read a book that detailed etiquette to abide by in Vietnam. Among the rules was “never leave your chopsticks pointing at another person”. I followed this “rule” with difficulty; because eating in large groups is customary in Vietnam, it was near impossible not to leave chopsticks pointing at someone, and when I finally looked at my Vietnamese dinner companions – their chopsticks pointed at other people. Later I asked my companions if it was rude to leave chopsticks pointing at someone – they said that the advice I received was rubbish! 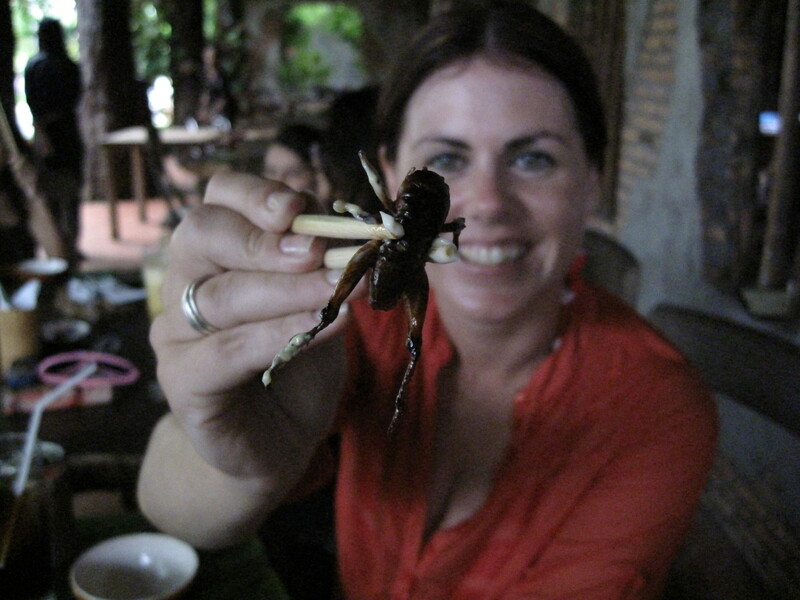 A South African prepares to eat a fried cricket in Mui Ne, Vietnam. There’s definitely a place for books and courses to help you become culturally savvy, but theoretical knowledge has its limitations. I think that’s true – if you have good relationships built on respect, the other party will be more likely to ignore any unintentional faux-pas that you make. Whereas, if you don’t have a relationship built on respect, a faux-pas is more likely to be interpreted as an intentional insult. The immersive experiences of living overseas taught me how to navigate cultures vastly different from my own, by observing and by developing the kinds of relationships whereby I could ask questions and get honest answers. Returning to Australia from my first stint in Vietnam I managed a multicultural arts centre where I had to work with people from different cultures every day. One day I might be working with a Russian theatre group and the next day an Indian music ensemble. Being respectful, following nonverbal cues and being less boisterous seemed to work well no matter which cultural group the people I was working with were from.Once again, in Vietnam some years ago I gave lectures at a University for a few months. I had built good relationships with the students and other teachers. One day I asked another teacher, a Vietnamese lecturer, to observe my class in order to provide me with feedback. I learned that I was frequently using a hand gesture that was normal in many countries but considered rude in Vietnam. The gesture was a signal to come here or come to me with my fingers pointed upwards, whereas the Vietnamese point their fingers downwards to indicate the same thing. I didn’t know I had been making a rude sign, I asked the teacher why the students hadn’t said anything and she responded by saying “they like you, they are too polite to say anything and they know you don’t mean any harm by it!”. My stupid guidebook on Vietnamese etiquette never said anything about this gesture! Following that job I worked with the Australian Government Department of Prime Minister and Cabinet where I facilitated Indigenous Australian arts and cultural activities. It was my first job where I worked with Aboriginal people on a daily basis. On my first morning on the job, I asked my boss “do I need to do any inter-cultural training”. She said, in a serious tone, “give your clients respect, follow their cues, let them lead and you’ll be fine”. I followed her advice and developed many excellent relationships that I maintain today. Now, some years later, I have undertaken three courses in Indigenous Australian art, culture and history which have only added to the learning that I obtained through personal interactions. Had the companies that failed in China immersed some of their staff into their target location in such a way that they could ask questions and observe the local customs, in conjunction with theoretical learning, they could have quickly learned that their business and sales model might not work in China in the same way it had in their home countries. An investment in cultural immersion learning could have saved such companies a whole lot of time, pain and money. League Cultural Diplomacy (LCD) is dedicated to saving organisations time, pain and money when doing business in foreign markets or cross-cultural environments through corporate cultural diplomacy (CCD). Among many other benefits, CCD serves as a tool that provides opportunities for people and organisations operating in foreign markets to participate in immersive cultural experiences that will allow them to learn to navigate a culture through observation and interaction. CCD activities foster business relationships where questions are welcome and your intentions will be interpreted positively, even when unintentional errors of etiquette arise. 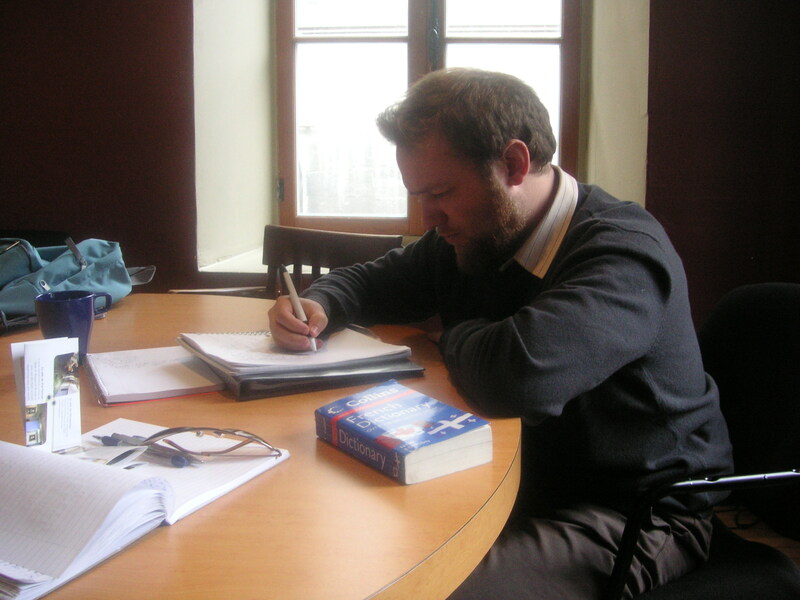 The author undertaking immersive French lessons in Montreal, Canada. The lesson I’ve learned through years of living abroad on four continents is that in order to develop the cultural savviness needed in today’s international business environment, you need to develop the capacity to give precedence to listening over talking, observing over showing and following over leading. Properly planned and executed corporate cultural diplomacy will allow you to do all of that. ← Beijing and Perth orchestras put Corporate Cultural Diplomacy into action.